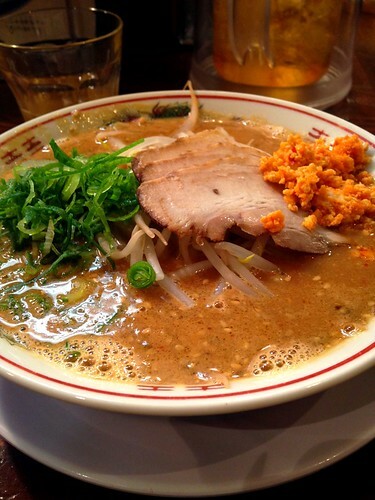 For noodles lovers, Ramen is the most popular and affordable option when traveling around Japan. 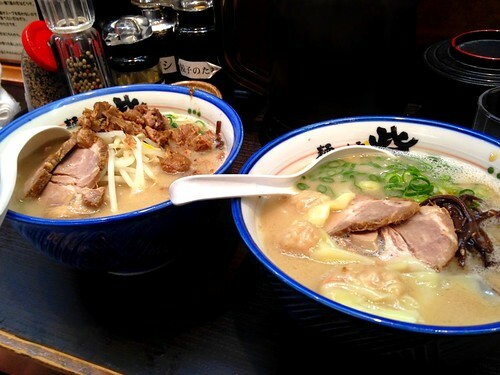 You’ll find a ramen shop almost in every corner and next to every train station, with a slurping sound coming from inside by delighted and hungry clients. Every region and city has their own style, and the ingredients may vary but the important remains always, the noodles. 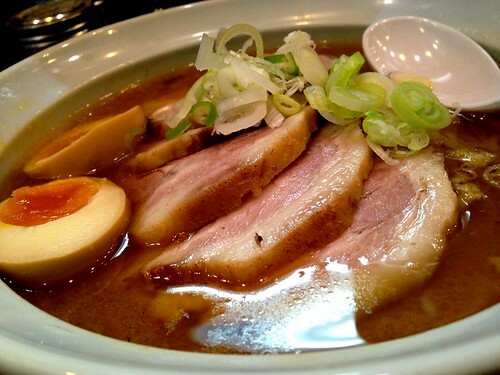 Here’s a list of the different types of Ramen and my favourite spots I came across while wandering around Tokyo. Of course, you may disagree with my recommendations, it depends on your taste! 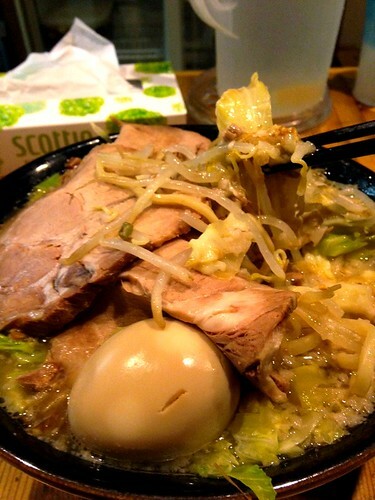 On a basic recipe, Ramen is a noodle soup (pork or chicken based), seaweed, onion, konbu, and pork slices. 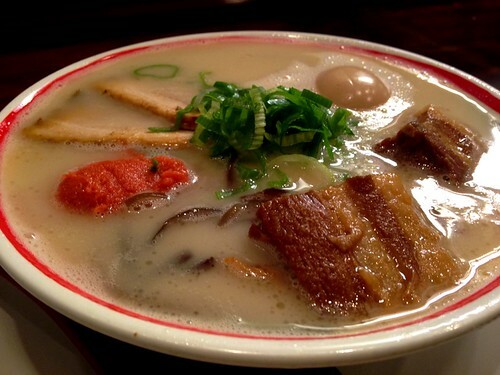 Personally, my favourite type of Ramen is the thick, strong flavoured pork soup based, tonkotsu ramen. 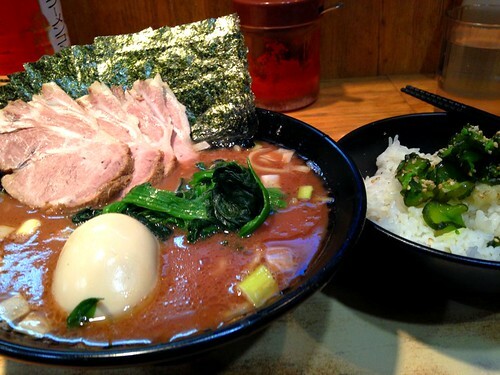 Ramen in Japan can be divided in four main different soup types. Toppings, may differ from shop to shop but usually what you’re gonna find in your Ramen are the next toppings; Pork slice, Bamboo, Nori seaweed, boiled egg, onions, soy beans, Naruto (fish paste), leek, and corn. 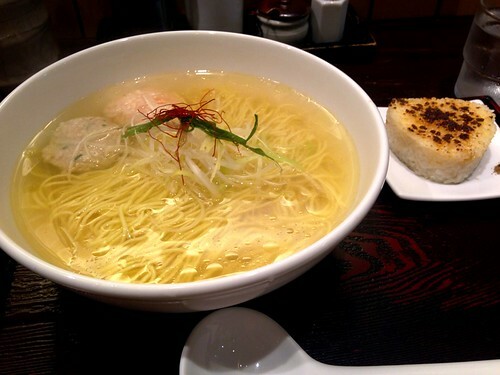 Shio (salt): The lightest of the Ramen soups. As the type says, lots of salt and the ingredients are not boiled as long as other types, so it keeps clear and light. Seafood based soup, shio ramen noodles. Tonkotsu (pork bone): My favourite style. 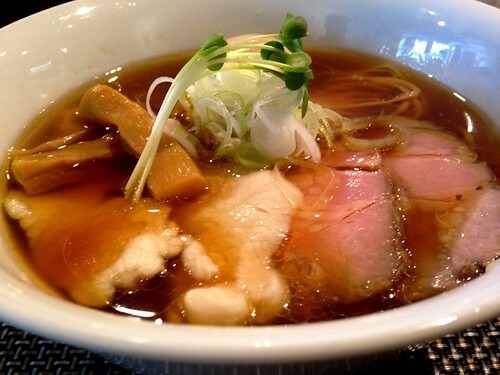 Deep boiled pork and fat soup, with a strong flavour and result into a thick soup. Usually has a white coloured soup, and really thick flavour. 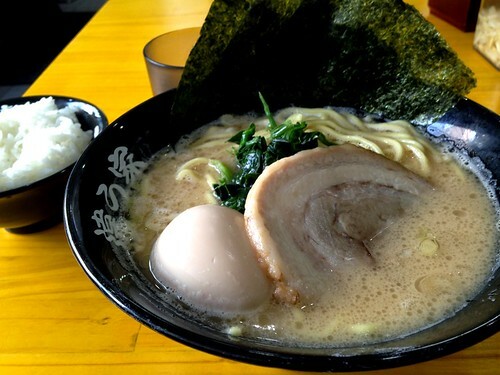 My favourite among all of the varieties and shops, is the Tonkotsu ramen prepared at Budouka, next to Waseda university campus. Been there so many times for so many years that I ended up making friends with the staff, and getting extra pork slices on my bowl. The ambience is real friendly. Hard to find but the trick is to follow the people outside waiting, specially at lunch. Let me tell you, Budouka ramen is worth waiting. Tonkotsu ramen noodles, Yokohama style. Shoyu (soy sauce): Soy added to the soup, with a light brown colour and light salty flavour, as I heard around, this this seems to be ladies favourite Ramen type. Chicken and pork shoyu ramen noodles. Miso: The last one of the types is Miso (soybean paste) and chicken or fish based soup, and usually results into a deep sweet flavour. First time I tried I was confused and delighted at the same time, as I used to eat just salty or pork Ramen, it’s nice for a change. Miso based was quite a surprise for me, specially this one (right), with chinese wan tan and shrimp based soup, delightful. Also, the Hokkaido style ramen is among my favourite. After writing all this I’m really hungry and craving for some Ramen, damn you gluttony! What about you? any favourite from the list? any original or shop recommendation?